Nestlé has really gone all out in the last few months pumping some new life into the Wonka line of products. Why they didn't go this far when the Tim Burton/Johnny Depp version of Charlie and the Chocolate Factory came out a few years ago (which would have been a natural tie-in) is beyond me, but in any event they are doing it now. 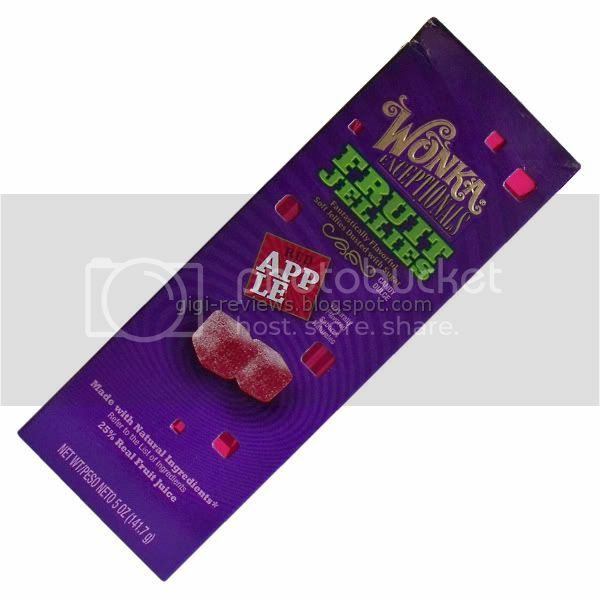 I opted to start with the Exceptional Fruit Jellies because they just seemed different -- and you just don't see a lot of red apple flavored candy. 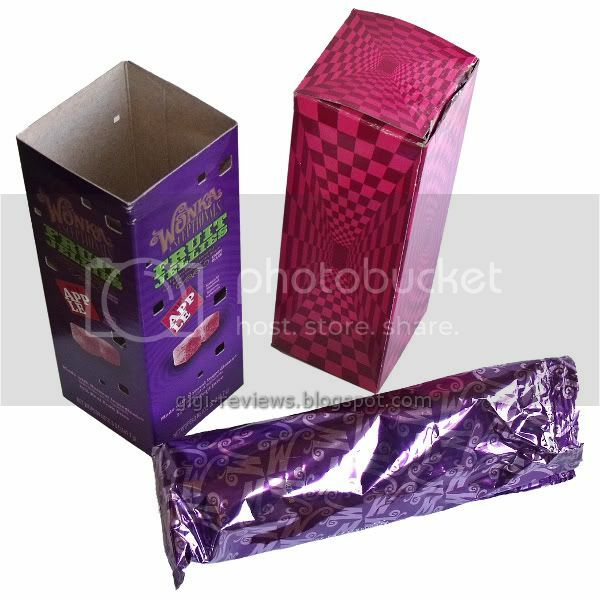 OK, regardless of Wonka's obvious hatred for trees, how about the candy that you get to after the oodles of packaging? 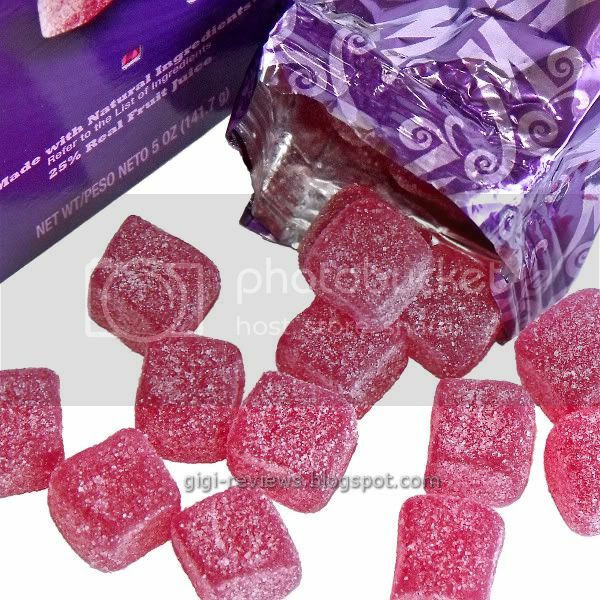 Each candy is the size of a sugar cube, each square is sugared, soft, and brightly colored. The box has a slight apple scent to it (What? Doesn't everyone smell their candy boxes? 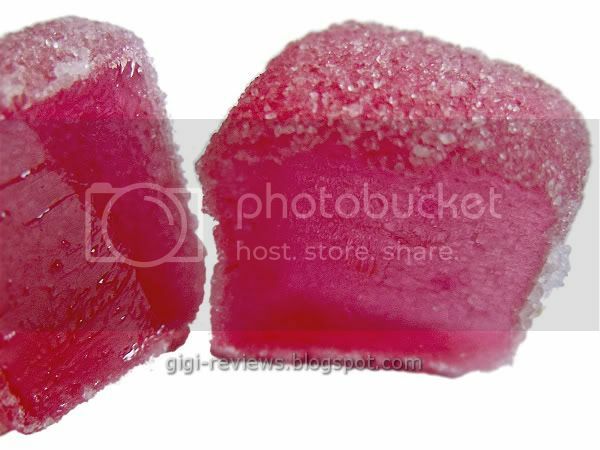 ), but the individual candies are pretty much without any smell at all. The chew is soft. It's not as as firm as a gummy type product, but it is softer and less sticky then most jelly/gel candies. I both chewed them and simply let them dissolve in my mouth. I found I liked the flavor and texture more if I let them dissolve. So how was the flavor? Really good! It's not overly sweet, despite the outer coating of sugar. The apple flavor reminded me a lot of apple juice, rather than the "green" sour apple that most apple candy tends to be flavored with. They are quite juicy, and it is entirely easy to eat a handful or two and wonder where they went. I really liked these little cubes. Cybele reviewed not only this flavor but the grapefruit and goji berry as well. Be sure to check out her review here. 130 calories per 14 pieces. Made with 25% real fruit juice. Fat free, sodium free.